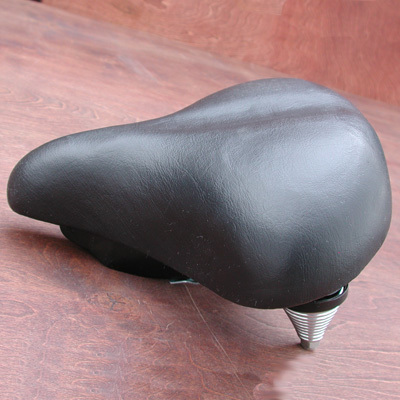 Full Size Adult Cruiser Saddle, Soft Foam and Chrome Springs. 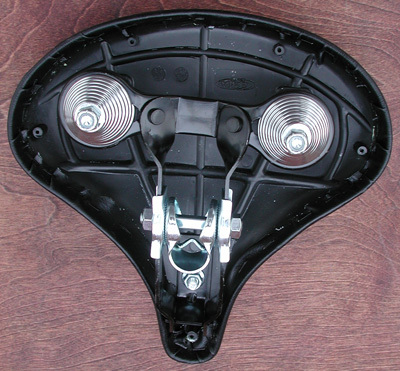 Seat has a 7/8" clamp with safety stop. 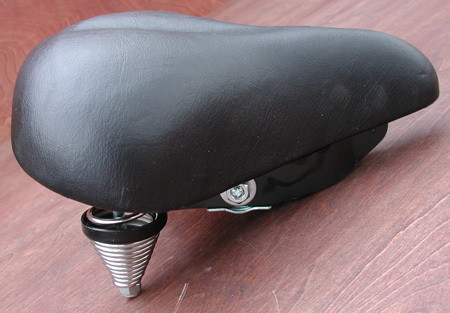 If you are using a Schwinn Seat post you will have to invert the seat post and use the other end. 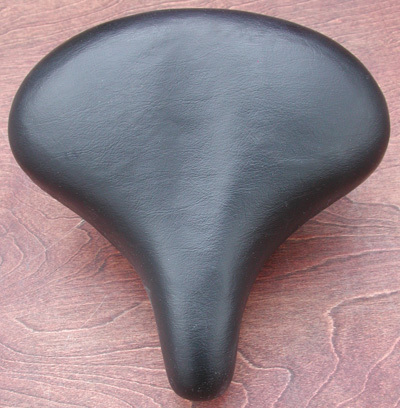 This is a nice comfortable replacement seat for your vintage bike. Seat has a tall profile giving you a little more height than vintage seats. I am a big fan of original vintage seats but my customers prefer this seat due to comfort and reliability. This Quality look and performance for your vintage bicycle restoration or custom chopper project.